“Woman in Gold” is the true story of Maria Altmann, a woman challenged the Viennese government for rightful ownership of Gustav Klimt’s famous painting nicknamed “the woman in gold” — a portrait of her aunt Adele Bloch-Bauer I that was taken from her family by the Nazis in 1938. At her side is young Los Angeles lawyer Randol Schoenberg (grandson of the famous composer Arnold Schoenberg), who helps her take on a government that refuses to let go of what has become a national treasure. This historical justice film directed by Simon Curtis stars Dame Helen Mirren in the role of Maria Altmann, sharing sprightly odd couple chemistry with Ryan Reynolds as a member of a removed generation, who learns the seriousness of history. Beginning as a theater director for the Royal Court Theatre London who transitioned to projects for the BBC, Curtis made his directorial debut with 2011’s “My Week with Marilyn.” Produced by Harvey Weinstein, the film about a young man (Eddie Redmayne) getting to know Marilyn Monroe (played by Michelle Williams) beyond her star persona earned two Oscar nominations, for Williams’ performance and Kenneth Branagh’s turn as Sir Laurence Olivier as well. RogerEbert sat down with Curtis to discuss his latest project, the experience of re-creating a Nazi-tormented Vienna, the influence that the film received from producer Harvey Weinstein, and more. How did your experience in crafting the chemistry of Eddie Redmayne and Michelle Williams influence what you wanted to do with this film? SIMON CURTIS: That’s not quite the question. I think, after “Marilyn,” for me it’s more “what’s the next film to do?” Both of them began with my passion for the story, different from the scripts I was sent. And actually, it’s rather ironic that after “Marilyn,” I was able to meet lots of producers and read lots of scripts, and lots of stuff sent to me, but the next thing I do is something that I pushed into production, like “Marilyn.” I could have not taken those 200 meetings and have been in the same place. But on the other hand, it occurs to me that maybe there’s a reason for that, the thing that I’m really passionate about gets made. Is it more of a coincidence, or is there something that intrigues you about these mythic women, and the stories behind their famous imagery? I suppose I do like going behind the curtain. I saw a documentary on this [subject], and thought that there was a great story, but also a great film that would take us behind the closed doors, and into the emotion of it and show the past of it. Both films are about a young man getting the green light to go into these magical worlds; they’re different worlds, but they are still two sort-of privileged men who get this break, and both of them are in this unconventional relationship with an older women, and both films center around a great actress playing a great character. Did you have much experience with Klimt’s painting before working on this film? Not that much. I did like the [“Woman in Gold”] painting, I had seen it, but I was no means an expert on any of it. I come from a Jewish family in the UK, so those themes meant a lot to me, and the idea that the Jewish community and Vienna being destroyed almost overnight, I thought that was very powerful. I think you can see in the film that we felt very passionate about that family, and that community. And I read that Maria and [her husband] Fritz’s wedding was the last Jewish social event before the Anschluss, and we tried to put that in the dance where they’re dancing as if they are sort-of aware that this is the last time. You mention that there is an inspiration from your own family about this material. Is there any part of your own family or your background that one could see in this film? No, it’s not so much that, although I know and grew up around some women much like Maria Altmann. But it’s not that direct. My family were all safely in the UK before WWII, so I don’t have a Holocaust story. But I feel culturally Jewish, and definitely identify with all of that. How did you want to create an authenticity of hatred and violence in the Anschluss scene? Do you have to emotionally separate yourself from the work like that? Yes, what tends to happen on that day is that you’re thinking of something like, “Oh my god, have we only got until lunch time to get this shot?” But we shot those scenes in Vienna. so that had a real potency to it. I wasn’t sure where that was going to go, but it in fact went very well. The people in Vienna, both the people participating as extras and the people watching, were all supportive, and that included when a lot of swastikas were around. But there isn’t much of that violence, it’s just a couple of moments. But shooting in Vienna was one of the greatest experiences of my career. I loved being there, and I loved the way it looks, and I loved the way we were treated. It was fantastic. When it comes to history and comes to difficult events, what do you think is the director’s duty to history in terms of recognizing what happened? There’s a tension between authenticity … though what is authenticity? You just do your best. You research as much as possible. And in the case of this film, when the Nazi cars come in, we recreated an actual shot — when the Jews are painting on the wall — that was an actual photograph that you can find when you Google it, that we recreated. We’re doing our best in that way, but you’ve also got to make a movie. And when you’re making a movie, you’re shooting lots of scenes, and they’re not going to end up in the film anyway. So when you’re in the cutting room, then you’ll perhaps make a great cut. You don’t ever quite now. But I’m very pleased with [Maria & her husband Fritz’s] escape sequence, because it’s the physical more than verbal. In their history, there’s also the story of Fritz, who was held at the Dachau concentration camp before escaping with Maria. Was this part considered for the film? No, we didn’t shoot that. I was very keen to do the past in German, but I knew that we’d only get away with that if it was a tiny portion of the film. And there isn’t much dialogue in those scenes. It’s very visual and all that. In regards to another location, there’s a scene at the beginning in which the subject of Klimt’s painting says, “I worry about the future,” and then there’s a cut to Los Angeles. What does L.A. mean to you? Are you living there now? No, I live in London, but I’ve spent a lot of time there. My wife [Elizabeth McGovern] is from Los Angeles — well, from Chicago actually, and then she moved there when she was ten. And it was very important for me to do non-showbiz Los Angeles in this film. I loved that bungalow where Maria lives. It’s not actually the one that Maria lived in, it’s up the street from it, but it’s just down the road from 20th Century Fox. And Randol lived in Encino where my parents-in-law lived, and that seemed important to me. And also, to go in one week when we were in pre-production from Maria’s apartment in Vienna to where she was born, to the bungalow in Los Angeles where she was when she died, was very powerful. You think that we’re all on this trajectory, and her trajectory spanned the whole twentieth century, and touched upon the greatest things in the twentieth century. That became very important to me in the film. What struck you in particular about the Vienna apartment? The architecture. When you’re in that apartment in Vienna, if you owned that apartment and looked out the window, you would have felt like you were invulnerable. What interested you about working with Ryan Reynolds? I’ve always liked his work. He’s by no means the twin of Randy Schoenberg, but he is very intelligent and sweet, which are two things that I think I saw in the real Randy. But here’s the thing, Randy is also a world expert on his personal history, and we didn’t want that. We wanted our Randy to be more of the all-American guy, who goes on this journey and discovery with us in the film. Also, Ryan and Helen had the most fantastic relationship together. When did Helen Mirren come on-board to the project? Very early. I remember sitting with her going through the script, and hearing her take on the script, and why a certain scene needed something, or a certain line needed something, etc. I thought, “You’re not Dame Helen Mirren for nothing!” There was a really brilliant instinct that made the film better. What kind of creative input did Harvey Weinstein provide this film? With both of my films, he has been a huge influence. And in both of the cases, he personally has been really passionate about the subjects as much as me, which is kind of curious. He was on the set a lot with “My Week with Marilyn,” but not in this case. But he’s all about choosing the heads of development, and the cast. He’s a producer, but he wants some part of those conversations. And by the way, in the case of Ross Emery the director of photography, [Harvey] introduced me to him because he did “The Giver” for The Weinstein Company. He was a fantastic DP, so I was grateful. And then Harvey makes the call to Hans Zimmer, and then Hans Zimmer is doing the music for my film. You think, “My God, that’s fantastic!” And then he left us alone. Though he was watching the dailies, and sending emails that were very encouraging. But then he’s all about the cast as well. But the speed of this I think indicates how well it is has gone, in that way. It is very interesting in that you’ve made your first film and now your second film with him. I think I may be the only person who has made two films, both with him. You must have a very unique perspective on his influence. You’re an executive producer on many projects as well. How has his unique grasp on the industry influenced your own approach to that job? Yeah, but frankly I prefer to take notes from Harvey, who has had his name on dozens of the best films ever made, than notes I sometimes take from executive producers in television who have never done anything. And also, here I am thanks to Harvey, but one day I’ll make a film and I won’t be in Chicago talking about it, and I’ll wish I was. 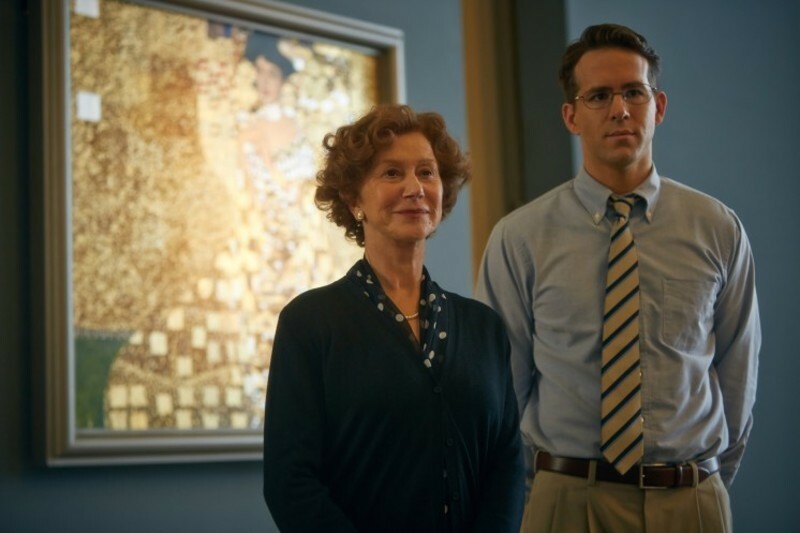 What interests you about making a project like “Woman in Gold” that aims for a mass appeal? I don’t know, I think a lot of the films that are made at the moment are not about anything. And this film is about something. I think the film has landed at a time where the spectrum of anti-Semitism is very much in people’s minds; it’s a reminder of when things go terribly wrong. What have you seen lately that’s really jazzed you? I was a great fan of both “Birdman” and “Boyhood.” I thought “Boyhood” was going to win, because of its emotional kick. It’s a once-in-a-lifetime experience. But I thought “Birdman” was a brilliant, technical triumph. But I wanted an ordinary American family to get the Oscar over Broadway actors. When you watched “Birdman,” were you thinking about your experience in working with a story about actors in “Marilyn”? Not really, no. I was thinking, “This is a great film.” And also, “How the hell did he do it?” I thought what Iñárritu did was sensational. And there’s such a gap in the market, because the studios haven’t been making that many [like that], and that’s why British films, there’s a place for that. They’re making films about people, and moments of history, at a certain price. You think of the success of those films recently, “The Imitation Game,” “The King’s Speech,” and so on. It’s because the studios aren’t making equivalent films as much. It was great to see two great American films at the heart of it all. Next Article: Interview: James D. Cooper on "Lambert & Stamp" Previous Article: Interview: Victor Levin on "5 to 7"